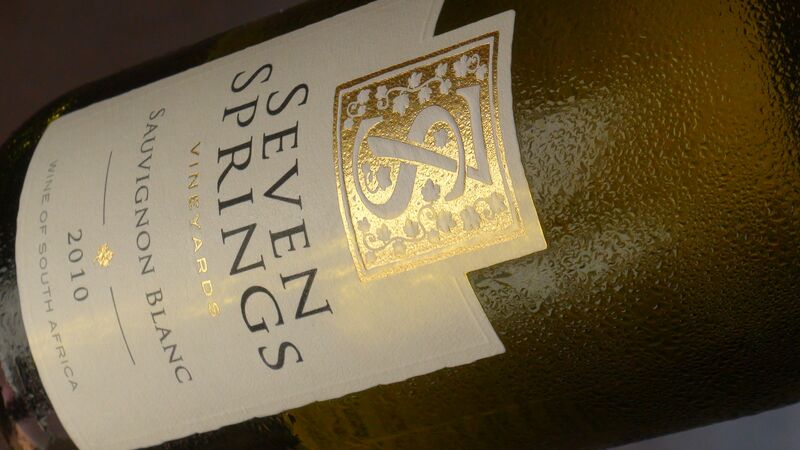 As always, the Sauvignon Blanc from Seven Springs is about intensity and concentration, about drive and minerality as much as flamboyance. Having said that, there is an edge of cut grass and nettles on the nose, as well as a hint of tropical fruit, along with plenty of citrus and apple skins. On the palate delicious intensity, a streaking mineral and lemon zest freshness, dry, with a shimmering quality of fruit giving shine and brilliance. The best vintage yet for this I think. Not the most expensive wine in the Seven Springs line-up, but you know I really enjoyed this. Only 12.5% alcohol, but crammed with flavour and a lovely creamy texture too, it flirts between nectarine sweet juiciness and the zest of fresh squeezed lemon, and slipped down very easily indeed with chicken in a garlicky, lime and ginger-spiced marinade. 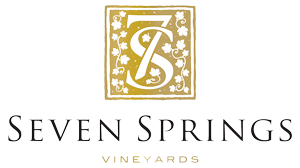 Seven Springs Vineyard, Chardonnay 2014 – Scores 90/100 Seven Springs has come a long way in a short time, including scooping a ‘silver’ in the Decanter World Wine Awards for this wine. Aged in 300-litre barrels for a year, it has toast and vanilla, but the cool harvest has also created a touch of green – fig and greengage – that gives lovely tension and aromatic complexity, the wild yeast ferment adding a savoury aspect. In the mouth it has bold, fresh acidity to offset the ripe stone fruits, teetering on tropical, but drier and more restrained as it finishes with fine clarity. There’s a delightful subtlety to the way the oak has been handled here, adding sheen and gentle creaminess to the ripe, supple fruit, a hint of Pinot truffle and briar. In the mouth nicely fresh and agile, a spine of acidity, a touch of oak chariness, and the savoury fruit and spice finishing quite long. 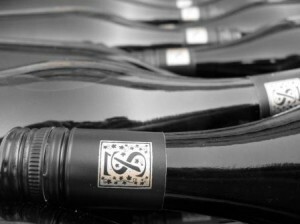 Always one of my favourites in the Seven Springs range, this powerful 14% Syrah has youthful exuberance to spare, with a bold, ripe black fruit aroma, underpinned by notes of chocolate and tobacco, but there’s a hint of violet lift in there too. Smooth and creamy on the palate, the weight of that fleshy berry and plum fruit is there, tight, fine tannins and juicy acids completing a deliciously easy-drinking yet quite structured young wine that will cellar for a few years.